A $25 donation (cash or check) at the door will enter your name into our raffle for Fantastic Prizes. Plus, a portion of the evening sales will be donated to raise awareness in finding a cure! Gather your girlfriends, sisters, mothers, neighbors, and the MEN in your lives and celebrate for the cause! 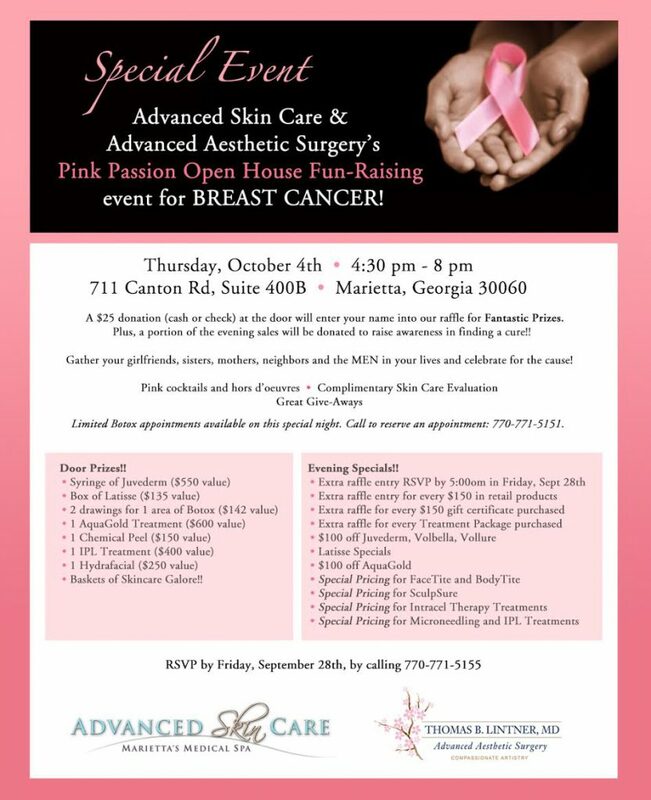 Space is limited — RSVP by Friday, September 28th by calling 770-771-5155 or filling out the form below.